This season Salomon is excited to roll out the new Aira series for women to compliment the men’s XDR series. The entire Aira collection is designed to be lightweight and easy to control while cruising the frontside of the mountain. What Technologies go into the Salomon Aira Series? The C/FX 3 is one of the highlights of the entire 2019 Salomon collection. C/FX 3 is a reinforcement that brings together carbon and flax to add strength to the skis without adding any extra weight; it actually makes the skis lighter. Carbon adds strength, stability and energy transmission while the flax adds a lively and energetic feeling. This is a bit of a generalization, but women are constantly asking for lighter skis, and C/FX 3 is a perfect solution. All-Terrain Rocker 2.0 is the rocker profile in every model of the Aira Series. Rocker in the tip of the ski initiates a turn with little effort, as well as absorbing negative vibrations caused by crud or bumpy snow. A small amount of rocker in the tail allows you to exit turns easily and improves maneuverability. Camber underfoot adds edge hold and rebound. This combination makes for easy to control skis and allows you to steer into any turn shape you want. A Progressive All-Mountain Shape allows for you to take on some more difficult conditions. This tip shape is perfect for you to tackle the groomers when some fresh snow piles up and crud piles start to form; this shape makes skiing those conditions much easier. A Pulse Pad is added to every model of the Salomon Aira Series. This is a layer of rubber which is added to the perimeter of the ski and in other select areas in the construction of the skis that dampen out vibrations and help create a smooth ride. The top two models of the Aira Series have a Cork Tip Inlay. Cork has fantastic vibration absorption properties. This small insert in the tip just adds to the smooth skiing and added comfort as you enjoy your day on the mountain. What is the best Aira Model for me? With four models to choose from, Salomon provides a frontside ski for every level of skier, let’s take a look at each one. Salomon Aira 84 TI is designed for advanced to expert skiers. Full Length Sandwich Sidewalls grip the snow and offer a strong edge hold when conditions get firm or icy. The Light Poplar Wood Core is reinforced by C/FX 3 and Titanium to offer a smooth and stable ride at any speed for aggressive skiers or powering through difficult snow. A Ti Power Zone is also added underneath the binding platform to add a little more rigidity. At 84mm at the waist the Aira 84 Ti is the widest offering that can venture off trail in light powder and has the best ride when skiing fast through bumps or crud. Salomon Aira 80 Ti is an excellent option for the athletic intermediate up to advanced skier. The C/FX 3 and the Ti Power Zone gives the ski stability at speed, but is still not too demanding for the intermediate skier to grow and improve their skills. At 80mm underfoot the Aira 80 Ti is quick and nimble edge to edge and most known for having the agility and stability to be the best carver in the series. This ski shares the same construction as its big sister, but a more manageable waist width for skiers still improving. Salomon Aira 76 CF is a perfect option for athletic beginners up to solid intermediates. The Woodcore has a great mix of forgiveness and stability that will not make learning too challenging while still being a solid ski once you improve. The Semi Sandwich Construction has a Monocoque Cap Construction in the tip and tail that is easy to slide around with edge hold when you need it. The Ti Power Zone just underneath the binding platform adds the right amount of stiffness without causing the ski to fatigue you too quickly. Salomon Aira 76 ST shares an identical shape as the aforementioned model, but has a softer construction making it ideal for the bare bones beginner to mellow intermediate skier. This ski is also a perfect option for the lightweight teenager or tween The All-Terrain Rocker 2.0 and Woodcore are easy for skidding or sliding turns. A Basalt Layer is added to reinforce the ski rather than the C/FX 3. This reinforcement is slightly softer and more forgiving making it easier to ski, but not nearly as stable once you become a strong intermediate. For more details and on snow reviews for all of the new Salomon Aira skis, please come visit us at Skis.com. 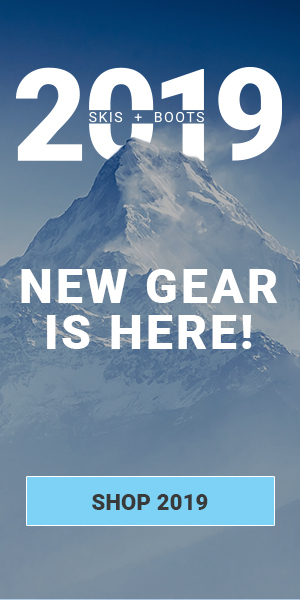 And, as always don’t forget to subscribe to our blog below for up-to-date info on all things skis. Looking in the Salomon Aira Series for a ski to ny wife. 60 years, 185 lbs, strong intermediate skier. We have been skiing for the last 30 years 1-2 weeks every season. Mostly groomers, a little crud, small bumps, fresh snow NOT to deep. I am consedering the 80 ti(but what lenght?). Her hight is 172 cm. Her current ski is an old Fisher RX6, 160 cm. That she manages well. When the snow is good, she is pretty fast. Short nimble turns and medium carved turns as well. We are skiing i Europe mostly Austria. Once in Lake Louise/Sunshine Village. This season we are going to Whistler. Or do you have any otter suggestions? She should pretty easily be able to use the 169cm or 162cm. With the added taper in the tip and tail, and the addition of rocker in these skis compared to her old ones, I would recommend the 169cm. Even in a longer length, these skis can still make incredibly tight turns and handle bumps with ease. I’m 158 cm/56 kg (123 lb) and would consider myself as an intermediate skier. I was thinking about buying the Salomon Aira TI 80. Which length would be the best for me? For someone of your size and skill, I would go with the 155cm Aira 80 TI.